It’s been a full two months since my last League 1 update and an awful lot has happened. There’s only been five more rounds played in those eight weeks or so, but we’ve had the culmination of the League 1 Cup, Barrow’s run to the Challenge Cup last 16 and Toronto’s first ever home games in Canada. Let’s take a look at how the league is panning out now we’re two-thirds through the regular season campaign. If the Wolfpack weren’t already odds on favourites to win this division then they certainly are now! Maximum points from all ten league games has now given the Canadian side a two point cushion over their rivals at the top of the pile. Bouyed by their first ever home games against Oxford, Barrow and Coventry over the last five rounds they have sailed to even more convincing victories than in the earlier rounds – the highlight for Paul Rowley no doubt being the 70-2 drubbing they handed an under-strength Raiders side in Round 8. Expect more of the same from this team in their remaining five regular season matches. The West Cumbrian’s have quietly gone about their business over the last few weeks and now find themselves in second place after last weekend’s fixtures. Having played their game in hand the same weekend as the League 1 Cup finals, they’ve won all six of their games since Round 5 and look good for their position. 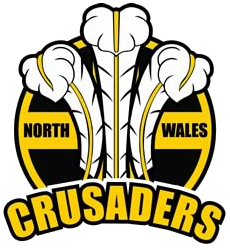 However, they have a tough run in the final five matches which includes trips to York and North Wales along with home ties with Doncaster, Keighley and Barrow Raiders in Round 15. All of which have ambitions of finishing as high as they can ahead of the split. Barrow have been by far the busiest of the 16 League 1 clubs over the last few weeks. Where most clubs have been able to enjoy the odd week or two off playing a match, the Raiders have played nine matches in just eight weeks! That amount of games has clearly taken its toll on Paul Crarey’s side who had to endure consecutive heavy 70+ point defeats to Leeds Rhinos and Toronto within six days of each other before geeing themselves up again for the League 1 Cup Final the following weekend. Thankfully for Raiders fans they won that Final but their defence has suffered with big injury list, and the recent draw with Doncaster on Sunday has given their medical staff plenty more work to do. 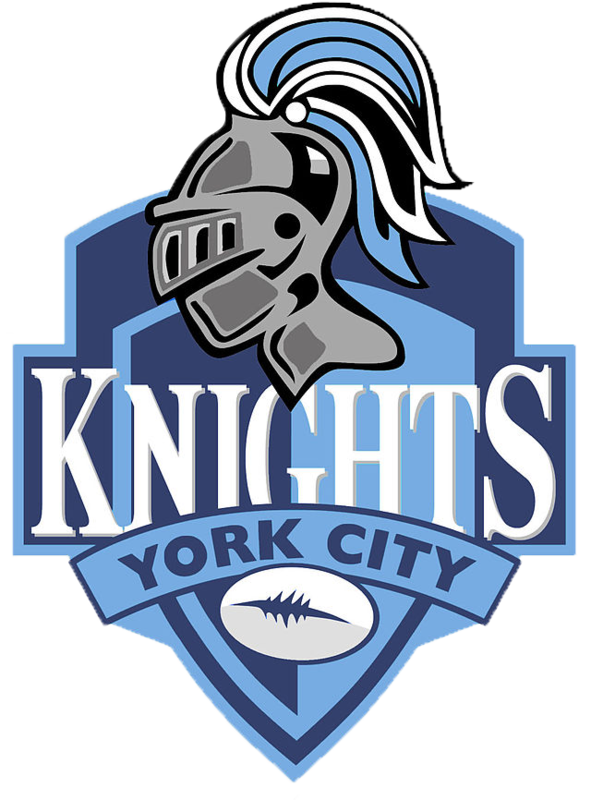 The City Knights are by far the biggest movers over the last five rounds, most notably helped by winning all five of their league games in that time, and have risen eight places because of it. Big wins over Gloucestershire, Coventry and Hunslet alongside victories over Newcastle and London have seen the sides results improve drastically from earlier in the season where they suffered consecutive defeats to North Wales and Oxford. Doncaster have improved slightly on their early season form and have enjoyed an unbeaten run which sees them jump a couple of places in the top five. Two home draws over London and Barrow in that time will have disappointed their fans as they would consider themselves unlucky not to win one or both of those games but they will enjoy a week off next weekend. A trip to Whitehaven awaits before a visit from Newcastle over the next few weeks and their postponed fixture with Oxford will also be played very soon. Another side who struggled for early season form was Workington Town. 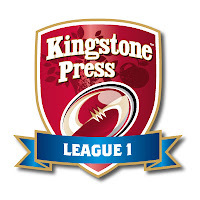 They managed to kick-start their season in Rounds 6 and 7 with comfortable victories over Hemel and South Wales but a reality check followed with defeat at fellow strugglers, Hunslet. 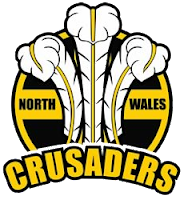 Another defeat at home to Doncaster saw them on the verge of dropping out of the top eight again but a narrow win away to North Wales periodically stemmed the tide. Dave Clarke has admitted that this season won’t be the year they aim for promotion back to the Championship but missing out on the Super 8’s would be a major disappointment. Keighley Cougars have struggled in this second third of the season to string any real results together, gaining just four more points and dropping three places over the last five rounds. They gave Barrow an almighty scare mid-week in Round 7 losing a 100 point match by 16 points in the end but further defeats to Doncaster and Newcastle last weekend see the West Yorkshire side just inside the top eight on points difference. 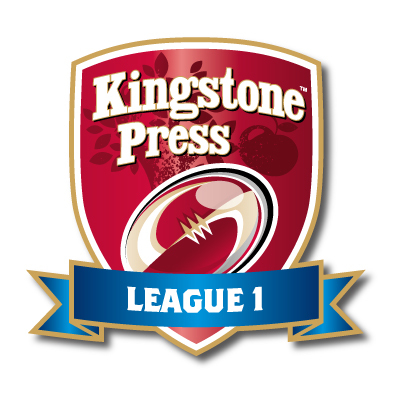 Keighley’s West Yorkshire rivals, Hunslet are just below them in eighth thanks to ten points collected from 11 matches. After the disappointment of last season Hunslet would have been hoping for better this year but it hasn’t quite kicked on for them this term. Six defeats, including a defeat away to Oxford and a heavy turnover at York last week, has meant they suffer the biggest drop in the middle third of the campaign. It doesn’t get any easier either as after a week off next week, thanks to their Round 11 game being moved forward, they face a trip to Toronto and just three further matches to try and consolidate a top eight finish. Thunder are a side that I tipped to break into the top eight this year but, unlike London Skolars last season, I haven’t been particularly overawed by them at this stage of the campaign. However, they should be able to take advantage of Hunslet’s week off this weekend when they travel to Oxford as a win would move them as high as sixth depending on other results. And having played Toronto already they have a relatively comfortable run of games remaining. Last season’s southern Super 8 finisher had another good start this year but have gone off the boil in the last five matches picking up just three points from a possible ten. Since the draw in Round 6 Jermaine Coleman’s squad suffered three one sided defeats to traditional northern clubs in Whitehaven and York plus a defeat to North Wales but has since pulled a difficult period back with a win over Oxford last weekend. Four more games against northern sides are up next for London so it may be a big ask to repeat their feat from last year. Oxford have a difficult period of their own to come with games against Doncaster, Barrow and Keighley to come so will be targeting victories over Newcastle, Gloucestershire and North Wales to pick up a few more victories before the split. It’s unlikely that Oxford will make the Super 8’s now but they are only two points behind eighth placed Hunslet with two games in hand. North Wales are on the edges of breaking into the top eight themselves but have to try and overturn a hefty minus point’s difference first. Their next game is away to Barrow and they will want revenge for their defeat in the League 1 Cup Final. But matches against South Wales, Oxford and Coventry will see the club push hard for a top eight finish at end of the season. Moving into the bottom four, the All Gold’s are the last team on eight points but their points difference will probably decide their fate if they manage to gain more victories in the final third. Those extra victories will more likely come from their next two matches against Hemel and Oxford as they end the third with away matches at Barrow and Toronto followed by a home game against Doncaster. Coventry ended up finishing eleventh at the end of last season and just missed out on the Shield Final but this year has been a real struggle for the Midlands club. Only two wins from their first ten matches sees them embroiled in a fight to avoid the wooden spoon but the fact the bottom two both sit on zero points should mean Tom Tsang’s squad should comfortably avoid that fate. 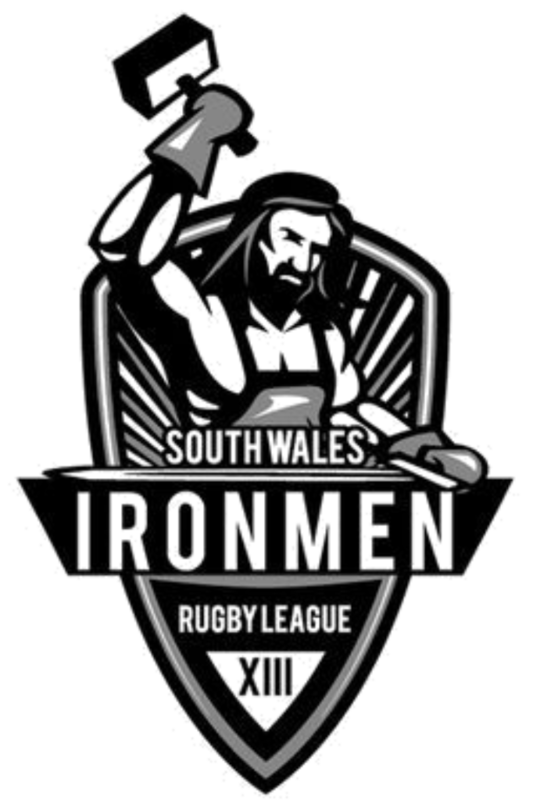 The Ironmen will be looking to Round 13 for what could be their only win of this regular season. The match away to Hemel Stags is the crucial one for both sides as they aim to go into the League 1 Shield with a glimmer of hope. However, if they can take some points from their next games against Coventry and North Wales it might just spark the start of a mini run. What is there to say about Hemel Stages? They took the wooden spoon at the end of last season with two wins all year but they did manage to claim a victory in the regular season but that doesn’t look to be repeated this time around. Their home game in Round 13 with South Wales is their only real hope of snatching a victory before the league splits in two. If you like what you read you can follow all my blogs through my Twitter page @TheRLBlogger.